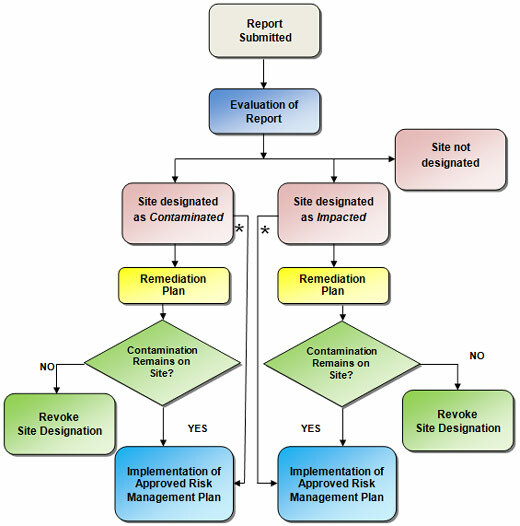 The purpose of this program is to administer The Contaminated Sites Remediation Act (CSRA) and the Contaminated Sites Remediation Regulation (CSRR). The program is primarily administered by Environment Officers within the Environmental Approvals Branch; however, regional Environment Officers with the Environmental Compliance and Enforcement Branch are active in site inspection and enforcement. List of all sites: this is a list of sites where some type of information has been submitted to the Department and a file has been created. These can include sites where impacts do not pose a concern, remediation has been completed, or further action is necessary.